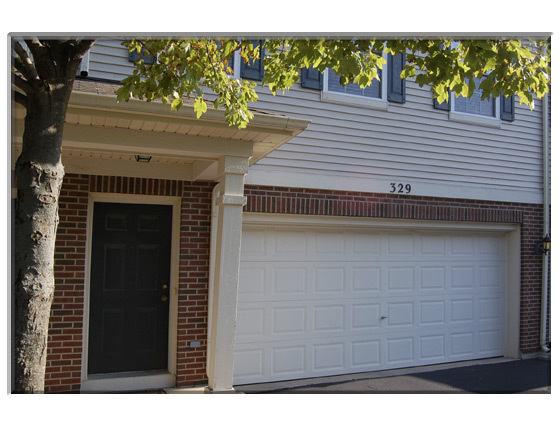 Open floor plan townhome with large eat-in kitchen with upgraded cabinetry. Sliding glass doors to the deck from the dining area. Living room with fireplace and entertainment niche. Spacious master bedroom with volume ceiling, walk-in closet and full bath access. 2nd floor laundry. Lower level with storage and 2 car garage. Neighborhood bike trails and park. Just minutes to I-90 and the train. Well maintained home! Short sale in process with cooperative lender.